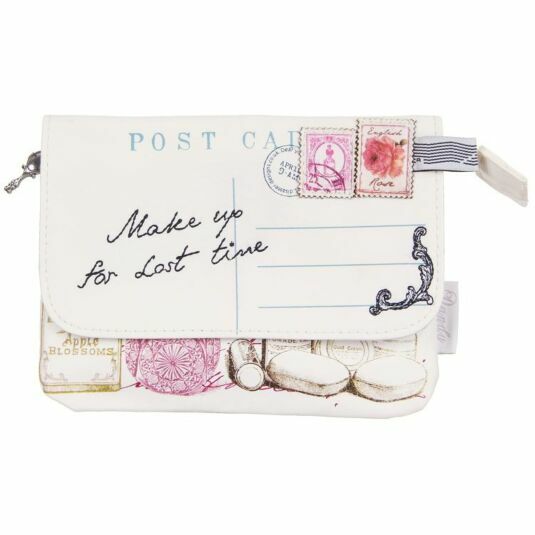 Store all your make up in this lovely bag. 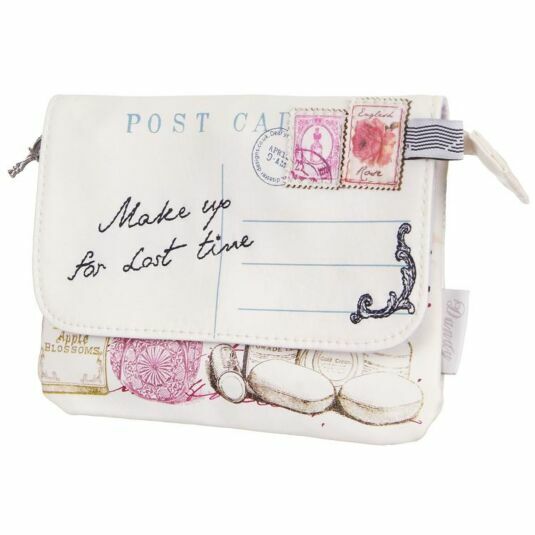 The flap features the words "Make up for lost time" with a postcard design and two stamps. 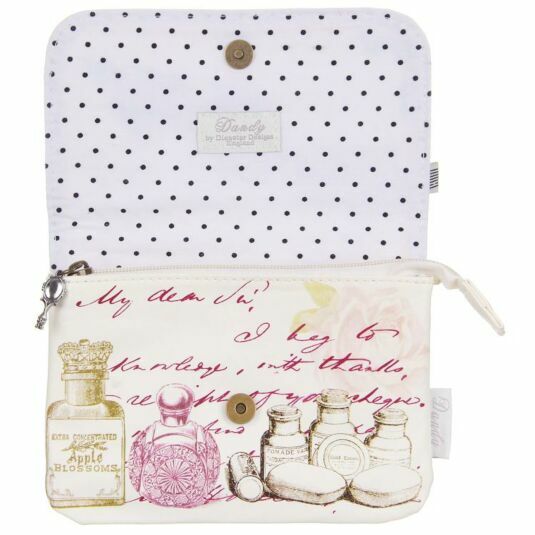 When you open the bag a lovely design on the front is revealed with a print of vintage perfume bottles and soaps with romantic writing in the background. 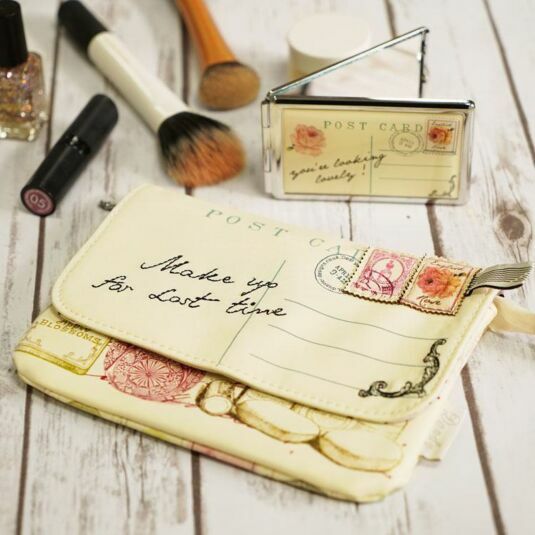 The zip pull is in the shape of a hand mirror, giving this make up bag a truly vintage feel. 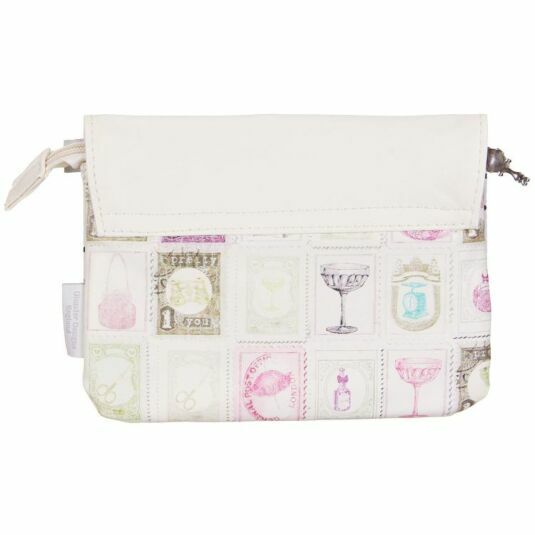 Inside is lined with dotty fabric and features one zipped pocket. 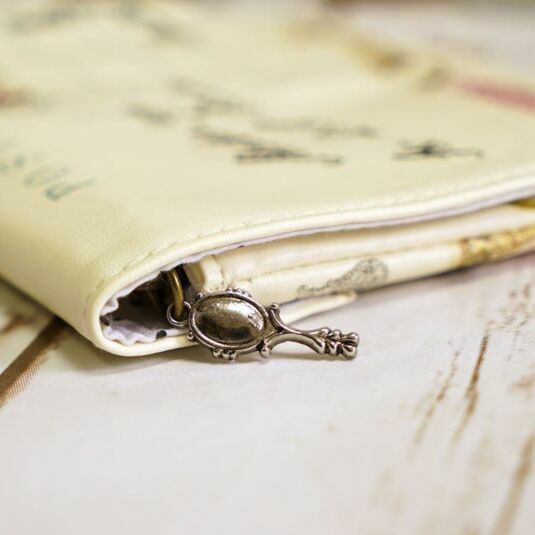 A very useful item, with a broad appeal across all ages, from teens to mums to grandmothers.